Couch Cleaning Adelaide- Sparkling Cleaning Services is the place to be. From fabric couch cleaning to leather couch cleaning, and couch steam cleaning to sofa dry cleaning, we do it all. We use the latest technology and advanced cleaning tool our professional upholstery cleaners bring the best out of your filthy upholstery. 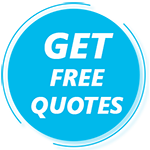 Call now to get free quotes on our services. Our Upholstery Steam Cleaners are experienced in all kinds of professional stain removal and leather cleaning services. Call 0410 453 896 for the same day Couch stain spot removals, mould removal, Couch steam cleaning and stain treatment services in Adelaide. We also provide guaranteed Couch scotchgard protection services. Sparkling Couch Cleaning Adelaide – a one-stop solution for all your Couch cleaning requirements. Our Upholstery Cleaners are proficient in cleaning leather and fabric Couch and lounge protection. There are many reasons why Adelaide residents hire us. Tired of cleaning your dirty couch at home with no visible results? Planning to replace that old and ugly looking chair that you think cannot be cleaned enough to look good? Finding Couch cleaning a tiresome and result-less task? Welcome to Sparkling Cleaning Services Adelaide – a one stop solution for all your Couch cleaning requirements. Since our establishment more than 20 years ago, we have been delivering immaculate Couch cleaning Adelaide services at both domestic as well as commercial level. Sparkling Couch Cleaning Adelaide is a renowned name in the cleaning industry. We have a bunch of licensed and certified cleaners who use highly advanced cleaning equipment to give a nice makeover to your Couch. We have a complete range of services that might come handy for your precious and beautiful Couch. Our services include couch dry cleaning, Couch steam cleaning, lounge cleaning, Couch stain removal, cleaning leather sofa, microfiber Couch Cleaning, and Upholstery cleaning etc. Wish to see your Couch as good looking as new? Call Sparkling Cleaning Services Adelaide and let us do it for you at the most affordable price! Home cleaning methods do clean the surface of the Couch but they don’t clean deep enough. And deep inside your Couch, without your notice, there are a lot of germs, bacteria, mould, allergens, carbon particles and what not. All of these are very harmful for the users and can cause serious health problems. Therefore, you need professional Couch cleaning Adelaide that completely eliminates all possibilities of any type of contaminants from deep within the Couch and makes it thoroughly clean, hygienic, and absolutely healthy! Get all these advantages with one simple call to Sparkling Couch Cleaning Adelaide! We at Sparkling Cleaning Services are not only limited cleaning your sofa and couches, but also provide protection from future stains. One of the major services in Adelaide includes Scotchgard services. Scotchgard works as a shield against that repel the stains and grime build-up that ultimately leads to the prolonged life of your couches. With couch stain protection, you can save you a lot of money and hassle. Hence, if you have still do not have Scotchgard on, make sure you hire our specialised services. Our cleaning team offers Scotchgard sofa services for all types of upholstered furniture. Sparkling Cleaning Services delivers a range of upholstery cleaning services in Adelaide, including leather couch cleaning. Leather upholstery looks promising in any premises, including residential and commercial spaces. Though leather upholstery is not very difficult to cleaning and maintenance, only regular dusting is enough to keep it long-lasting. But with the regular use, your leather couches also tend to wear off. That is when professional couch cleaning services come to your rescue to restore your leather upholstery. Besides leather sofa cleaning, we also offer leather sofa conditioning services at an affordable price. With cleaning services from Sparkling Couch Cleaning Adelaide, you get full guarantee. Our Couch cleaning services are designed to meet your expectations and please you in every way. And if not then our experts will come again to your place and re do the cleaning at no extra penny! Get the best of Couch cleaners in Adelaide from Sparkling Cleaning Services; call us today! Why Choose Us for Couch Cleaning Services in Adelaide? Moreover, we are an insured company thereby making your Couch cleaning experience much more reliable. So pick up your phone and to get an exclusive cleaning service for Couch just give a call to Sparkling Couch Cleaning Adelaide!